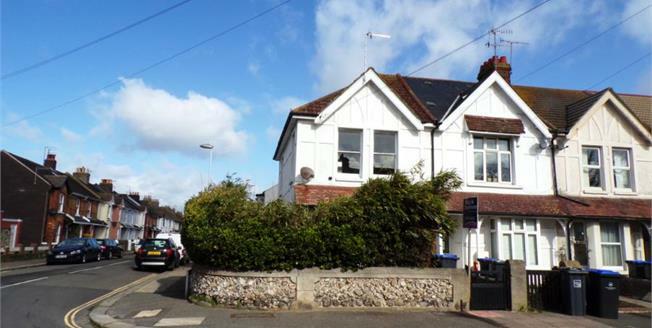 This well presented two bedroom maisonette is arranged over three floors and benefits from it's own private entrance. Internally the property comprises of a private entrance leading to a spacious hallway, staircase and has been re-decorated throughout. Complete with high ceilings, there is a south facing double aspect lounge with feature fireplace, a large master bedroom with feature fireplace and the newly refurbished kitchen is a real feature of this property. Upstairs is a further bedroom and extremely large storage cupboard. There are further eaves storage cupboards in this spacious apartment, and the original sash windows have been kept and restored recently. The property is being sold with no forward chain.